This is the second in our series of workshops to help you create your own website using WordPress. This workshop is perfect for those who have organised their domain and hosting and are ready to start adding content to their WordPress website. 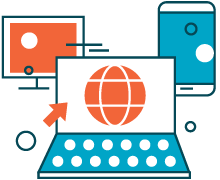 The workshop will including adding words and images to your web pages, starting with your home page; using themes; plug-ins and widgets, together with an introduction to search engine optimisation. This is a full day hands-on workshop and you are welcome to bring your laptop or tablet with you to ensure you are able to fully engage in the practical element of this workshop. Do you have your domain and hosting confirmed? Do you have your own or regular access to a computer, laptop or large tablet with keyboard? Are you confident about using the internet? Can you use word processing software like Microsoft Word? Do you understand computer file structures and how to move and rename files? Do you understand the difference between high and low res images? If you don’t have your domain and hosting organised then we recommend attending our Digital Marketing Workshop first. If you are unsure about how to install WordPress please contact Jane on 01209 311065, at least a week prior to the start of the workshop and she will be able to provide practical support.